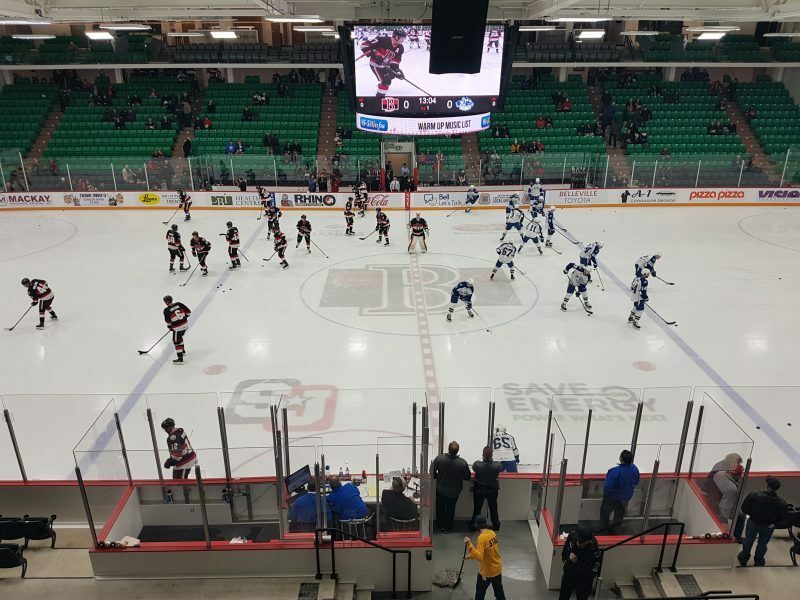 BELLEVILLE – Wednesday night’s close game between the Belleville Senators and the Syracuse Crunch had a strong defensive presence from both teams, but the Sens won the matchup. 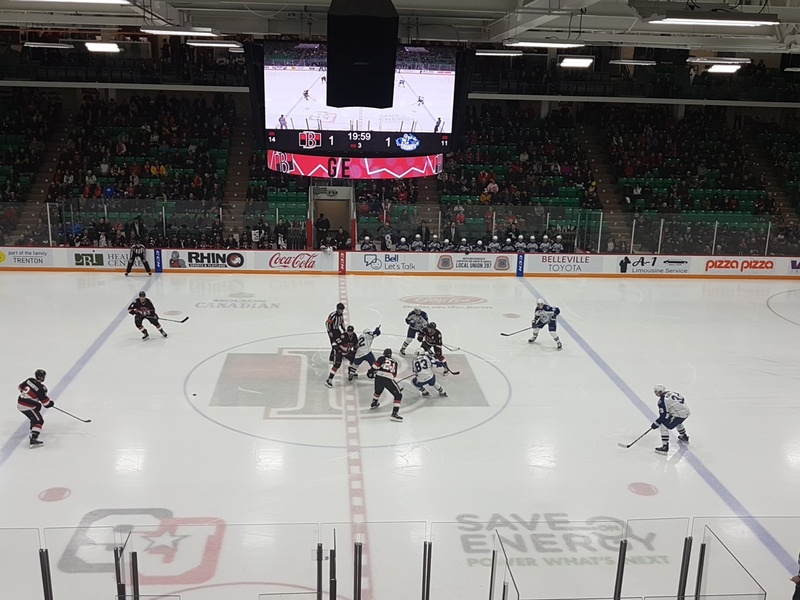 The first period started with both teams pressing hard, and the first goal came quickly, at 3:22. It was a power-play goal by the Crunch’s Mitchell Stephens, his 13th goal of the season. Stephens tipped the puck into the short side of the net while it was sitting alongside the goal line. Mathieu Joseph got the assist. The power play was initiated by an early tripping penalty to centre Jim O’Brien of the B-Sens. 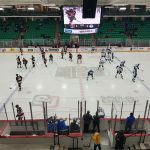 The Crunch played aggressively and found themselves in the sin bin for some minor penalties. The first came at 5:44 of the first period, when Carter Verhaeghe was called for tripping. But the Sens, who have been struggling this season with their power play, failed to capitalize on the Verhaeghe penalty and three other chances. 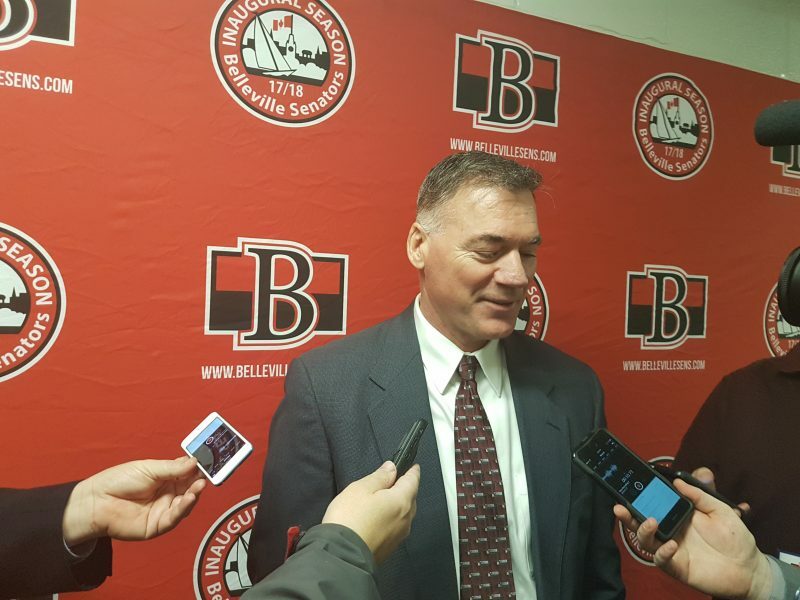 For the rest of the first period the B-Sens had some scoring opportunities but only managed to get six shots against Syracuse netminder Connor Ingram. At 15:30, Crunch player Jamie McBain accidentally blasted a puck into the crowd and it grazed a woman’s head. She seemed to be okay, but McBain receive a delay-of-game penalty. 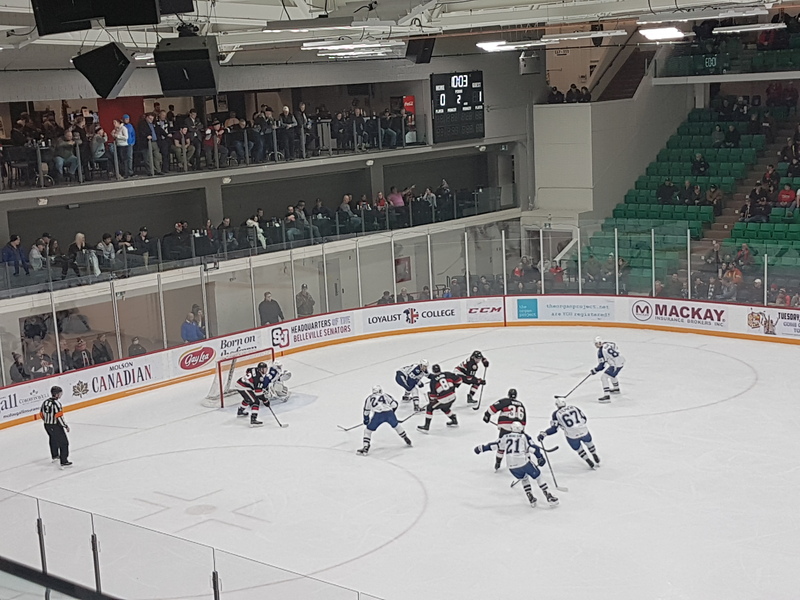 By the end of the first period the score was still 1-0 in favour of the Crunch but the B-Sens led in shots, 6-5. In the second period the Senators played a much more rounded offensive style of game. They were given another chance on the power play caused by an interference penalty at 1:58 that sent the Crunch’s Mitchell Stephens to the penalty box for two minutes. It was the last power-play opportunity the Sens had in the game, and again they failed to score. The physical play picked up and there were some big hits thrown from both teams, as well as some battles alongside the boards throughout the second period. The Sens found themselves having to kill off two penalties, the first at 5:55, to O’Brien for slashing. The Sens’ last penalty of the game came a bit later in the period, at 14:33, and it was a delay-of-game penalty to Jordan Murray. The Crunch failed to score on their power-play opportunity, however. The B-Sens continued pressing the Crunch defence and had some great scoring chances late in the second. The hard offensive efforts finally paid off when, on a breakaway, O’Brien netted his 10th goal of the season to tie the game at 1-1 at 18:55. The goal was set up with a smooth pass from Max McCormick, who collected his 16th assist of the season. Filip Chlapik, also got an assist, his 11th of the year. 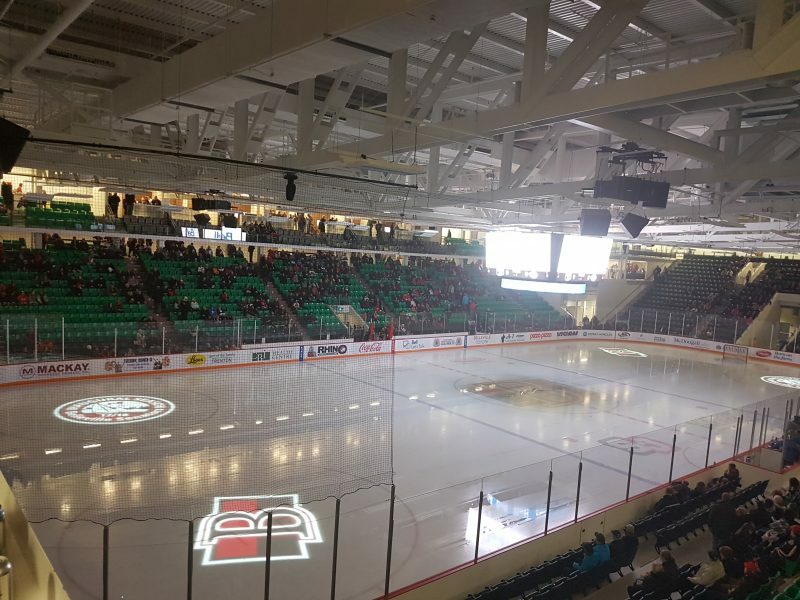 The fans at the Yardmen Arena went crazy at the goal; it’s fair to say that out of the 2,881 in attendance, the majority were B-Sens fans, and they were truly enjoying the moment. 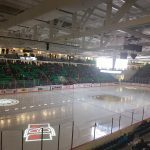 The final shot total from the second period was 8-6 in favour of the B-Sens. 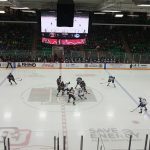 In the third period, both teams played hard defensively, and neither received any more penalties. The home crowd was a lot more energetic now that their B-Sens were on the scoreboard. Both teams had some good chances to score the go-ahead goal, but they couldn’t find the back of the net. The B-Sens outshot the Crunch 10-6 in the period. As play resumed in the three-on-three overtime, the home crowd continued to cheer on their team enthusiastically. 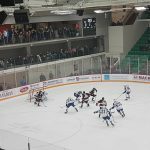 It didn’t take the Crunch much time to create some space, and they even managed to put two shots on net against Sens goalie Danny Taylor, but they failed to capitalize. The second shot was a two on one that got interrupted by Sens defenceman Erik Burgdoerfer’s stick. The puck then made its way to McCormick, and at 2:13 he netted the game-winner, his sixth goal of the season and second point of the night. McCormick leads the team in points, with Wednesday’s effort bringing the total to 22 for the season. The goal was assisted by O’Brien and Burgdoerfer. 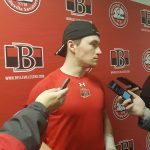 The final shots total for the game was 25-19 in favour of the B-Sens. With this win at home, the Senators are now 6-0 in overtime and have won their last two games. The win ended the Crunch’s nine-game winning streak. The three stars of the game were all from the Sens: the first star was McCormick, who had a solid game with one goal and one assist; the second star went to O’Brien, who also netted a goal and an assist; and the third star went to Taylor, the netminder from Kingston, who in his 150th American Hockey League game stopped 18 of 19 shots. 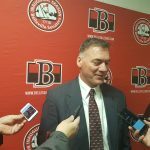 Asked by QNet News about the Sens’ power-play struggles, McCormick said: “I think it’s something we’ve been working on. It’s hard not to get frustrated on the power play. It’s only going to work about 20 per cent of the time, so you have to manage your emotions and stick with it. 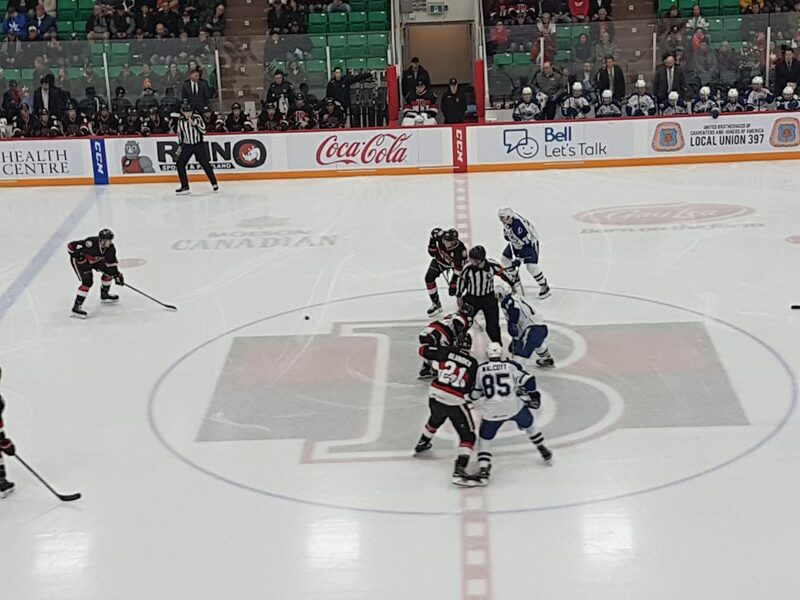 The Senators are heading out on the road for their next game, which is Friday against the Laval Rocket. 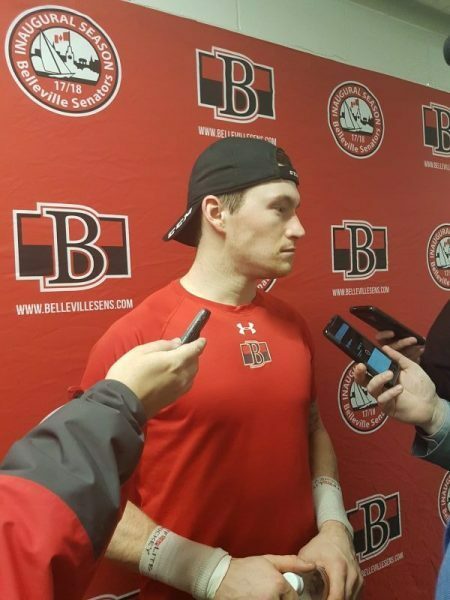 The second of the back-to-back games against Laval is back in Belleville Saturday.